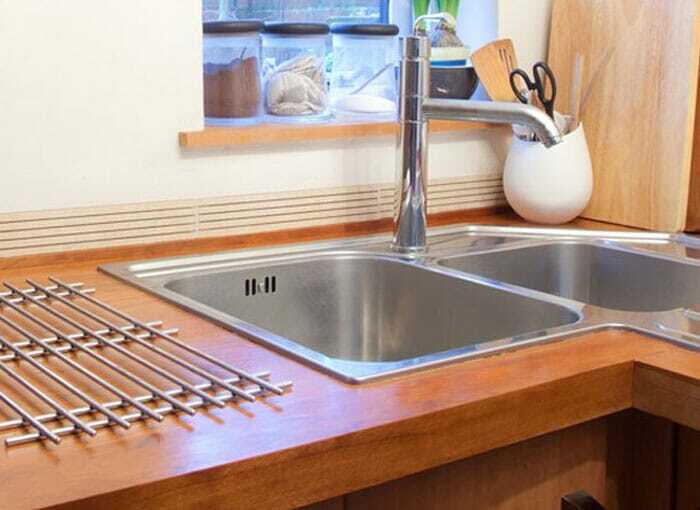 At HC Supplies, we’re UK leading suppliers of wooden kitchen worktops direct to your door. 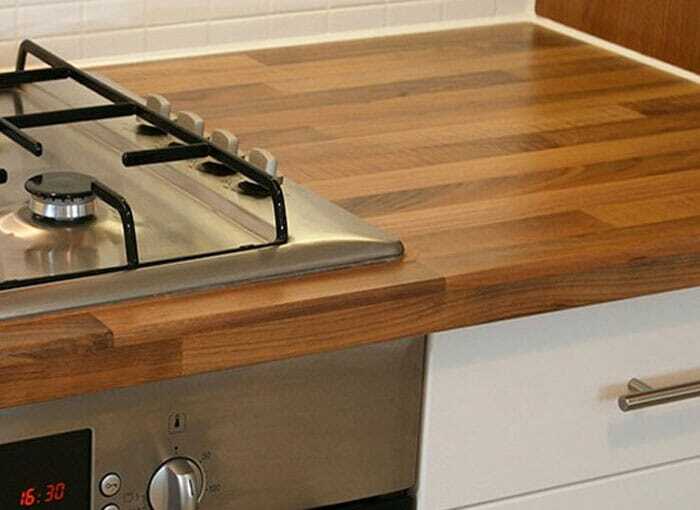 Our range of wooden worktops is one of the most comprehensive ranges anywhere in the UK. 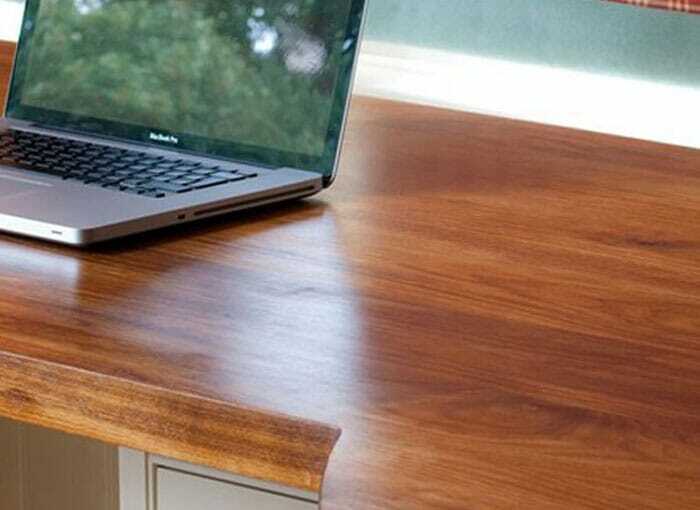 We believe you’ll be pushed to find a better selection of solid wood worktops anywhere else online! Solid wood worktops are as popular as ever in households up and down the UK. The variety of wood species with their different characteristics, grains and patterns make our range of solid wood worktops a superb choice for modern, contemporary, industrial and traditional kitchen designs alike. 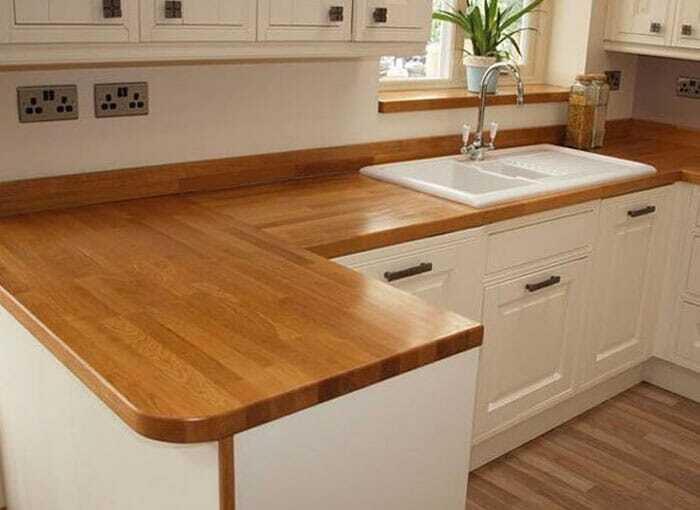 We have a huge range of different solid wood worktops in stock to suit all kitchens and styles. 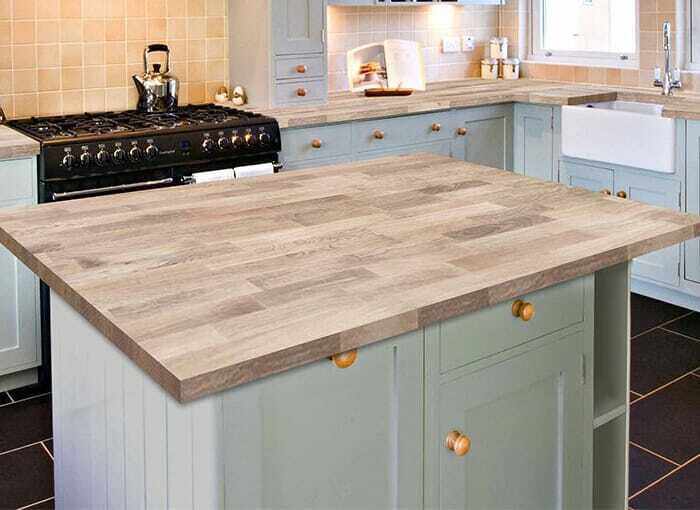 If you are looking for a light wood worktop, we have beech block worktops, rustic oak worktops, solid oak worktops, full stave worktops & maple kitchen worktops. Our Light coloured wooden kitchen worktops will bounce any light around your room to give a feeling of spaciousness. When you want to add a truly natural finish with your kitchen wooden worktops, nothing beats the warm, rustic look of hardwood worktops. Available in a huge range of colours, from a deep walnut surface to a bright beech wood, we give you the flexibility to choose whatever natural look you desire, all for the best prices. 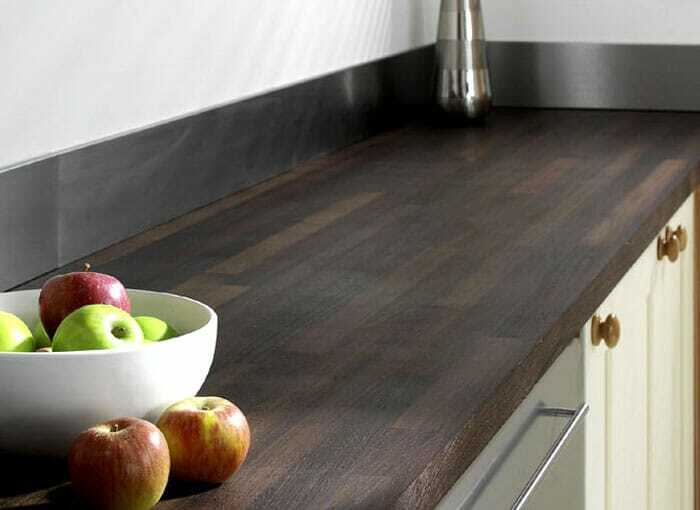 If you want a dark wood worktop, we also stock cherry wood worktops, wenge worktops, solid oak kitchen worktops, teak worktops, walnut block worktops & jamocha worktops. If that’s not enough then we have an array of exotic solid wood worktops, check out our bamboo kitchen worktops, iroko kitchen worktops, colo bolo worktops and zebrano kitchen wood worktops. Each has its own unique set of characteristics which will brighten up any kitchen space. Nothing can beat the look and the feel of a real wooden kitchen worktops. No two pieces of wood are the same giving your kitchen design something truly unique. 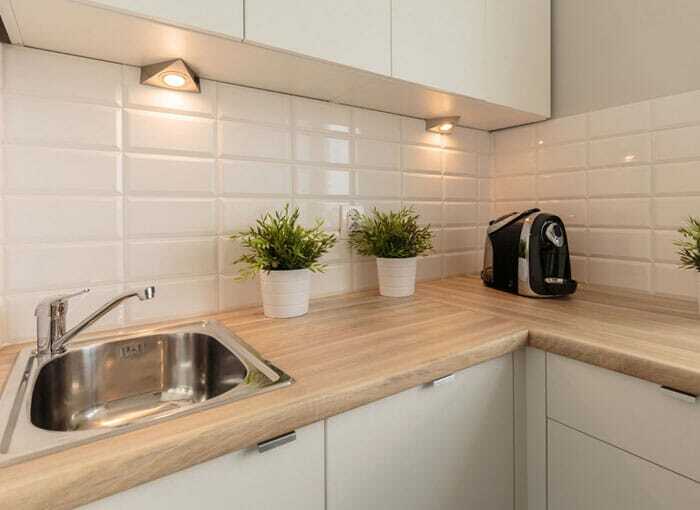 kitchen wooden worktops are both solid and extremely tough. Your kitchen wood worktops will be warm to the touch adding charm and warmth to your kitchen design. No matter what wood kitchen worktop size you desire, we will have it. Whether you're looking for 40mm oak worktops, 900mm worktops or the bigger solid oak 3m and solid oak 4m worktops. 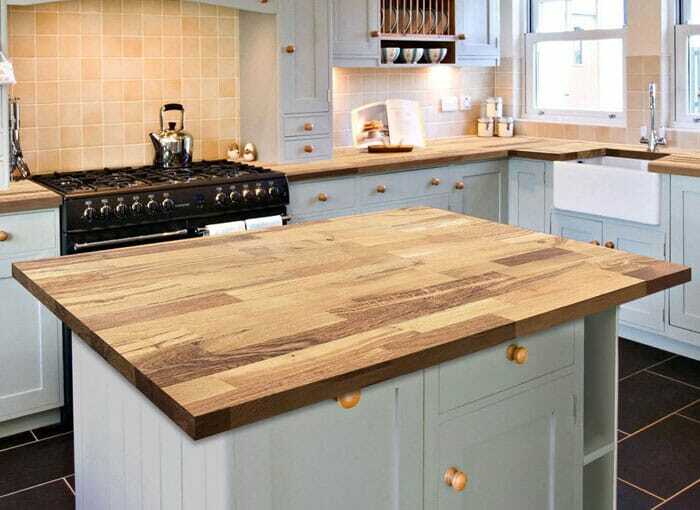 Our beautful kitchen worktops range from solid wood worktops are very easy to upkeep and maintain, we do however recommend you oil your wooden worktops upon installation to keep it looking in great shape. To clean your wooden kitchen worktops, use a damp cloth and avoid washing up liquid, detergents etc as this could potentially damage the solid wood worktops. 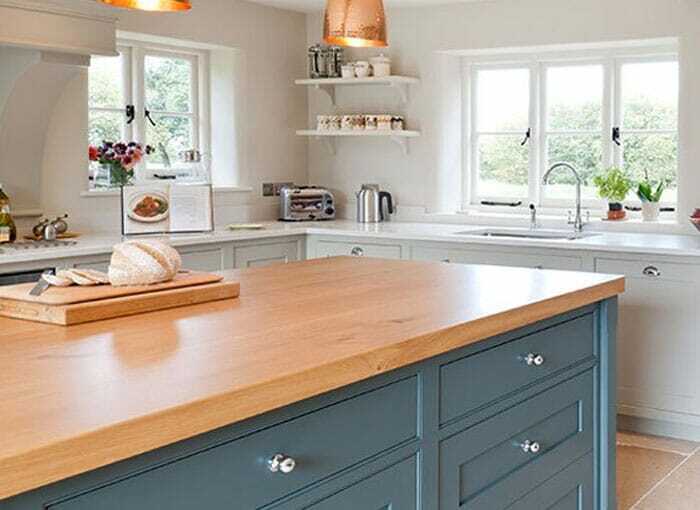 We pride ourselves in providing you with sustainably sourced solid wood worktops so that every home can enjoy a beautiful and an environmentally friendly wooden worktops in your kitchen. Wooden kitchen worktops are a hardy and resistant choice for your kitchen and, with proper maintenance, can last you for many years to come. Wood worktops for kitchens can also be easily sanded down over time, to get rid of any dents or scratches and to recreate that newly-installed smooth finish time and time again. Why not complete your kitchen design with our stunning range of breakfast bars? We stock wooden breakfast bars, walnut breakfast bars & solid oak breakfast bars! You might look at our wood worktops prices and think we have a solid wood worktops sale constantly! That’s not the case, we believe we offer the best, cheap solid wood worktops prices anywhere in the UK. This is because we have a fantastic relationship with our suppliers which means we can pass on fantastically cheap wood worktops direct to you! You may think that because we offer cheap wooden worktops that the quality may suffer. We hand select our wood to ensure it’s the finest quality and will stand up to the busiest of kitchen environments. We also offer a no fuss guarantee for your 100% satisfaction. 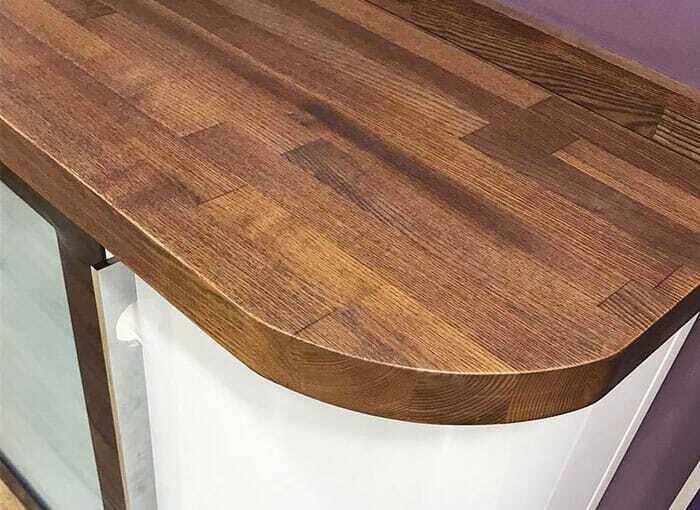 We also stock a huge array of wooden upstands including our stunning beech upstands range that will beautifully compliment the natural look of your kitchen wood worktops. You'll also find stunning wood effect worktops in our laminate kitchen worktops range. We aim to get the majority of our solid wood worktops direct to you within 2-7 working days! 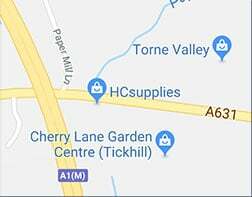 You’ve probably seen for yourself our cheap granite worktop prices but for a closer look, why not come and visit our showroom in Doncaster, North Yorkshire? You’ll find a comprehensive sample range for you to browse through. The most difficult part will be choosing your perfect kitchen wood worktop!